Unai Emery acknowledges there is a big discrepancy between Arsenal's home and away performances after his team swatted aside Chelsea at Emirates Stadium. First-half goals from Alexandre Lacazette and Laurent Koscielny lifted the Gunners back up to fifth in the Premier League – above a resurgent Manchester United on goal difference and three points shy of Chelsea. Arsenal have not lost at home in the Premier League since champions Manchester City triumphed 2-0 on the opening weekend of the season, but their high-energy showing on Saturday was in stark contrast to recent defeats on the road against Southampton, Liverpool and West Ham. 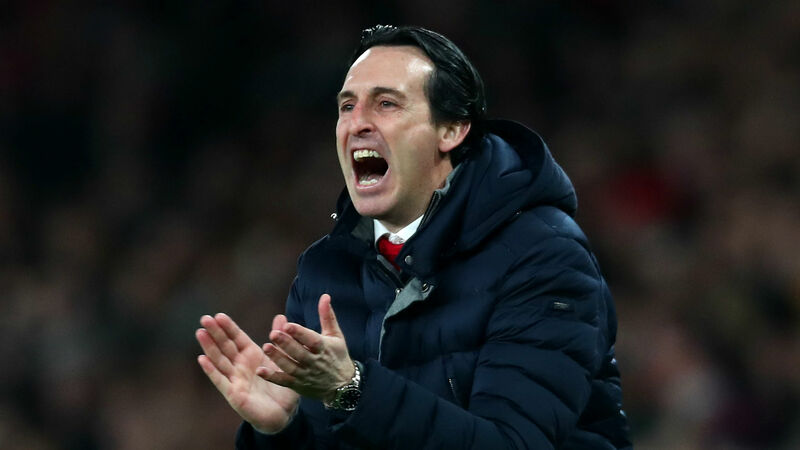 "We wanted to win for our supporters and also to do a special moment in his match against Chelsea in a derby," Emery told BT Sport. "The difference in the table was six points and this victory can help us to be optimists. It is difficult to continue in this way, but we can be happy and do our way game by game like today. "We need to find the balance at home and away because at home we are very strong. We showed every supporter our strong moments here. "But away we need to find this balance. The difference from the last match is a complete difference. "I want to say to everybody that we are going to be ready to find this balance."